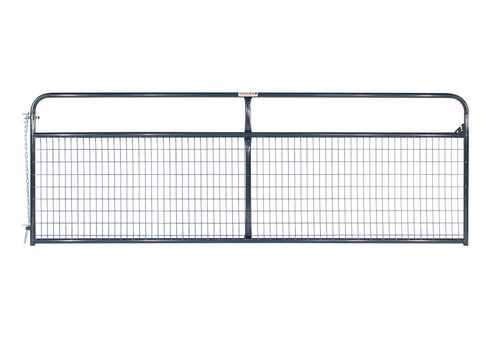 Tarter's Wire Filled Gate keeps horses and small livestock safely inside while allowing no catch points. Stands 50" tall and available in sizes from 4' - 16'. 1-3/4" round high-tensile strength tubing with our durable, corrosion-resistant powder coat finish. Ready to hang with hinge pins and snap chain. Two adjustable hinges so the gate is universal.